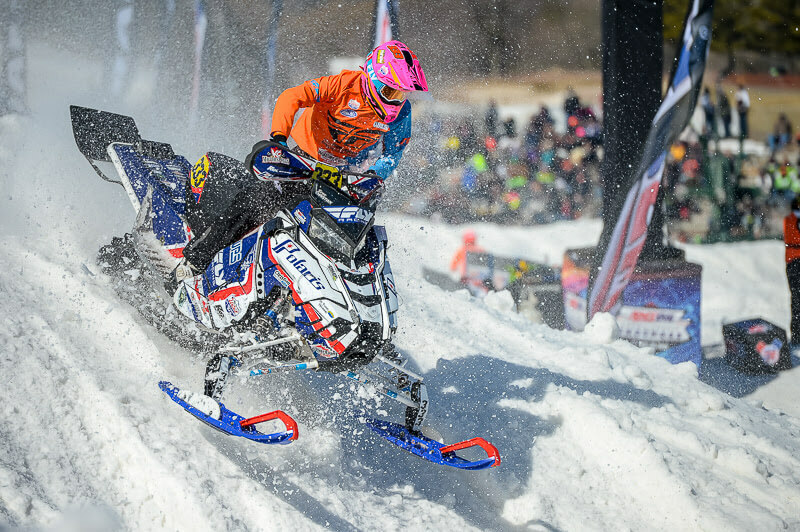 Finley, ND (March 21, 2019) – Fresh off his first career Sport class podium, Evan Christian was looking to match or improve upon his performance as the national snocross tour made it’s final stop of the season in Lake Geneva, Wisconsin. Christian qualified for the main event on both days of competition, finishing seventh and thirteenth. Although it was not the weekend he was hoping for, he did manage to secure 12th place overall in the championship after a slow start in the new class. 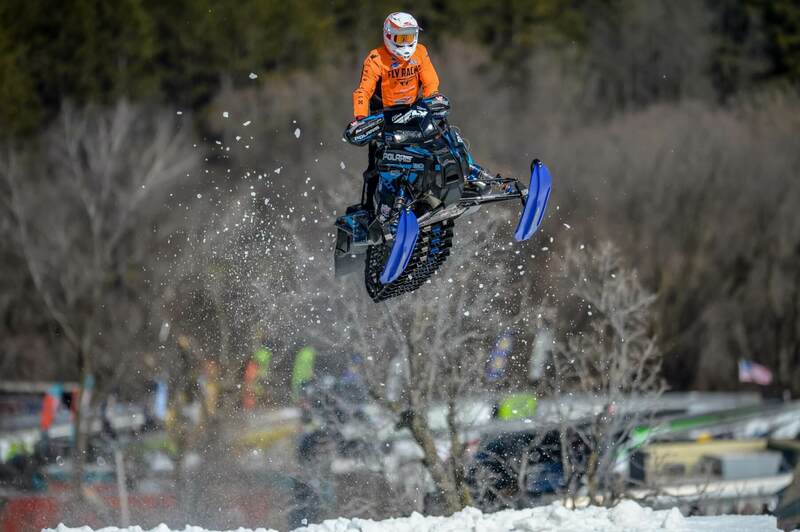 Geneva was not kind to rookie Pro Lite racer Jay Lura. Jay had been making big gains during the last half of the season but was unable to qualify for his main events over the weekend. 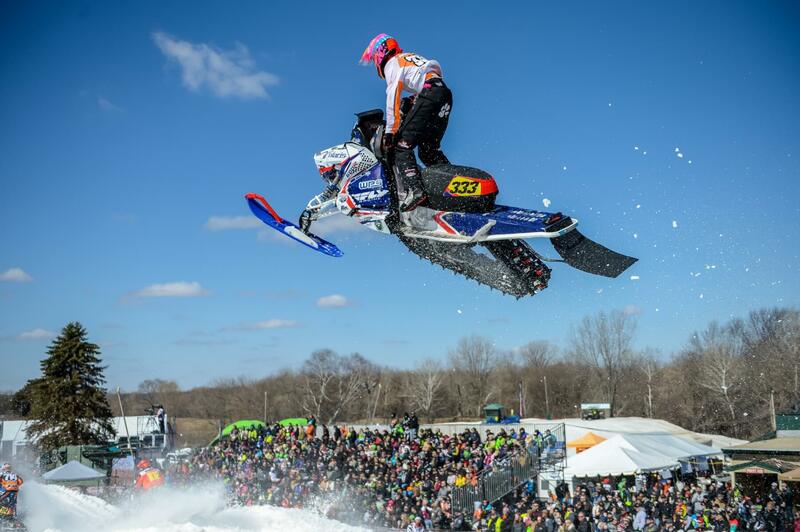 Jay Lura airs it out over the top of the massive uphill ski slope at the Grand Geneva. 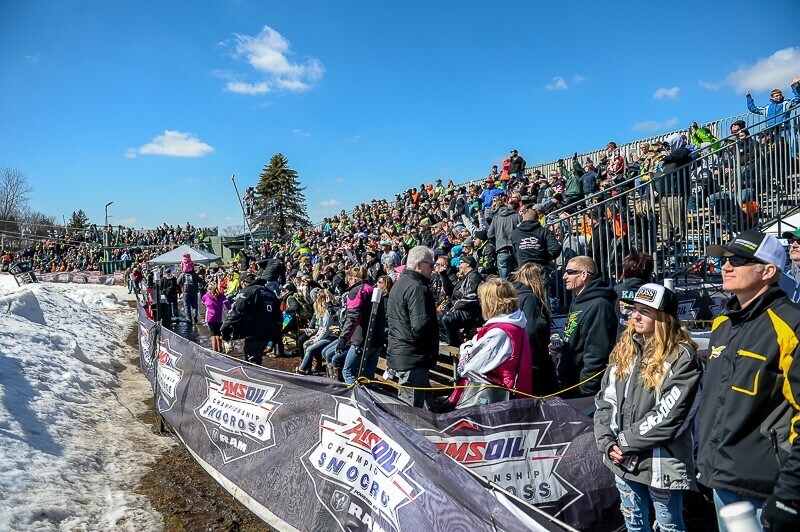 Evan sails over the finish line to close out the 2019 season in front of a sun-drenched, St. Patrick’s Day crowd.